Founded in 2006, the Combat Fishing Tournament was established to give thanks to the brave young men and women of the United States Armed Services who have served our nation with honor and courage in both the Iraq and Afghanistan theaters of war. In just a few short years the ASCFT has garnered huge success and notoriety and is now considered the largest military appreciation fishing tournament in the United States. The ASYMCA is very proud of what the Combat Fishing Tournament has achieved over the past twelve years. will be held in Seward, Alaska on May 22, 2019. Thanks to the generous support of the Seward deep-sea charter fleet, many local charter vessels will be donated to the event, allowing approximately another 250+ deserving service members to participate. For more information, email us here, or call (907) 552-9622. The Armed Services Combat Fishing Tournament was created in May of 2007 by local businessmen Capt. Bob Candopoulos, owner of Saltwater Safari Company and his friend, Keith Manternach, owner of Specialty Truck & Auto. During the winter of 2006, Bob and Keith had traveled to Reno, Nevada for the annual Safari Club International convention. While visiting Reno, they witnessed an anti-war protest that not only infuriated them, but also made them realize that they needed to act on behalf of the United States Armed Services. The two set out to establish a fishing tournament to honor the brave men and women who so proudly serve our nation. Their plan was to take as many members of the Armed Services who had served either in Iraq or Afghanistan, deep-sea fishing on Bob’s two boats, Legacy and Legend. 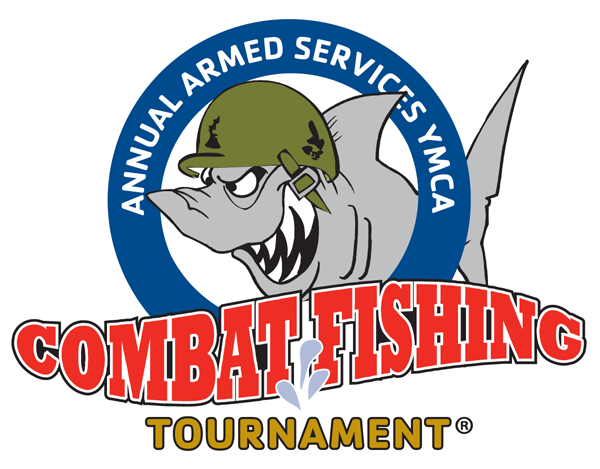 So, they teamed up with the Armed Services YMCA in Anchorage and the Armed Services Combat Fishing Tournament was born. Bob and Keith refer to their first year as a “shake-down” attempt to see how they could make this all happen. With the help of the ASYMCA, they were able to take some 66 military members out fishing over a two day period. Sponsorship immediately began to pour in and there were prizes and gifts for each service member who attended. It was an awesome event. The two decided at that point that the following season's tournament would be open to the entire Seward charter fleet and their goal would be to take 300 of our American Heroes fishing in 2008 – and that is exactly what happened! The following season, the Seward deep-sea charter fleet anxiously stepped up to the plate, willing to offer their boats, crew and fuel to honor our troops. During the early morning hours of May 22nd, 2008 some three hundred young men and women of the United States Armed Services were bused down to Seward and once there, they were greeted by more than 35 charter captains and their crews standing ready to start the 2nd Annual Armed Service Combat Fishing Tournament. It was a huge success, with great weather, great fishing and awesome prizes. Much has happened to our country since then. With the economic gloom and doom, Bob and Keith began to wonder how practical an event of this proportion would be. With charter businesses facing very hard times for the 2009 season, they didn’t expect that many of these small businesses would be able to afford participating in the event this season. Then the phones began to ring, and one by one the Seward charter fleet stepped up once more to the task at hand, once again committing their vessels and services to honor our American Heroes for the 3rd Armed Services Combat Fishing Tournament! For these small Alaska charter businesses to be so willing to pitch in and help, despite the fact that their futures are so uncertain in our present economy, is a tremendous testament to the extreme patriotism of all Alaskans. Our Armed Service members would never turn their backs on us, and Alaskans won’t turn their backs on them. Heading into the fourth year, and with the help of the Seward charter industry, local sponsors and businesses, Bob and Keith have created the largest military appreciation fishing tournament in the United States. They did it because they felt they had to. They did it because it was the right thing to do. And they’ll continue to do it, because our military deserves to be honored for all of their sacrifices. We are now proud to be organizing the 13th Annual Armed Services Combat Fishing Tournament with the help of our friends and neighbors. Armed Services YMCA of Alaska is a 501(c)(3) Non-profit Organization.